The practically perfect hostess has the perfect tools, and this grater for hard cheese will make an impressive statement at your next party. Your guests will love it because it's suitable for left- or right-handed use and comes with an etched fine drum for effortless grating. Just like you, the effortless entertainer. I've bought several cheese graters thur the years and this one works the best! Nothing like fresh grated cheese on pasta! 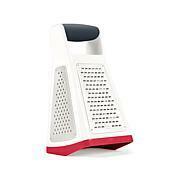 I love our new Zyliss Rotary Hard Cheese Grater for all my pasta dishes. I bought this cheese grater because my family is a huge fan of the Olive Garden and niw we can have fresh grated parmesan on all our dishes without the expense of going out. 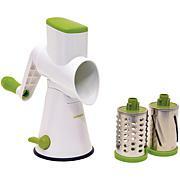 It is easy to use, easy to clean and just a terrific addition for any kitchen. I like to grate my own cheese- better flavor! This is small but very easy to operate and clean. It really is a life saver for my hand & wrist. Zyliss designs kitchen gear with the consumer in mind. Boasting more than 60 years of experience delivering award-winning products, they put a tremendous focus on quality, functionality and aesthetics. 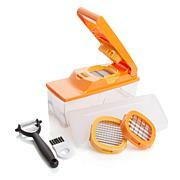 Perfect your prep with their fun and innovative tools that are ideal for the everyday cook.